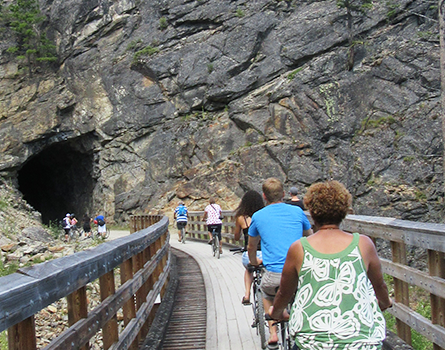 Myra Canyon Bike Rental is the only company to offer the convenience of on-site bicycle rental. 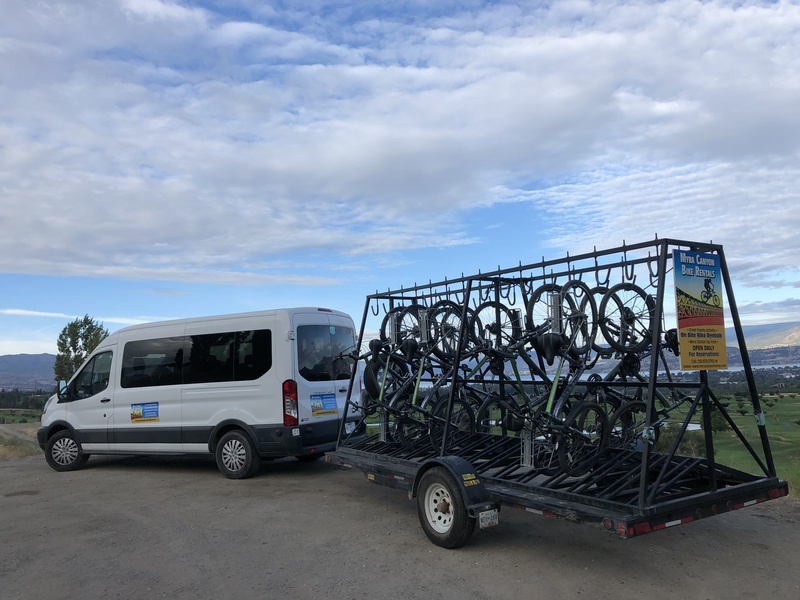 Myra Canyon Bicycle Rental and Tours is conveniently located right at the entrance of the Myra Canyon trail in the Parking Lot of the Myra Bellevue Provincial Park. Our new, quality-branded comfort bikes are available in a variety of sizes to cater to adults and youths alike.